﻿For information only and not an endorsement – this article is shared to ensure members have the context and understanding of current issues that impact the Construction Industry. 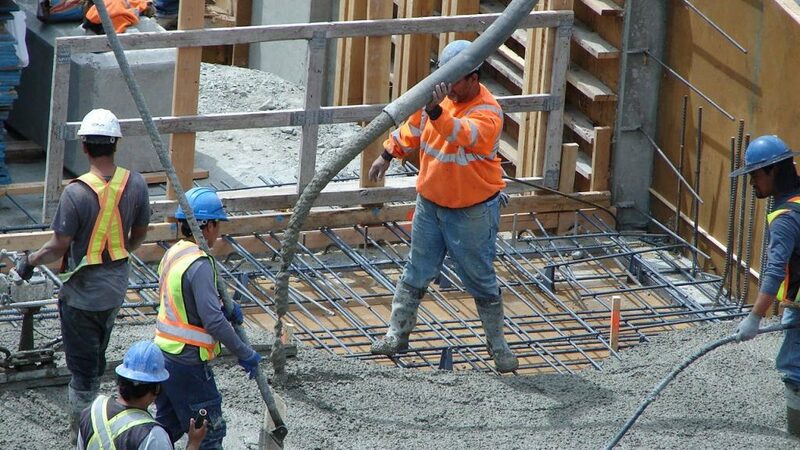 British Columbia is expected to see high demand for construction labour well into the next decade, leading the way in industry gains among the four western provinces, says the latest BuildForce Canada labour market report for the sector. Alberta and Saskatchewan will decline in the near future, but are expected to recover over the longer term due to renewed increasing demand for housing and the possible start of new projects, BuildForce’s 2019–2028 Construction and Maintenance Looking Forward provincial forecast report, released Jan. 31, predicted. Manitoba will be the weakest in the west, with construction labour employment expected to stall most of the next decade. BuildForce executive director Bill Ferreira cautioned B.C.’s robust construction growth will require stakeholders to focus on recruitment in the next 10 years to ensure labour demands are met, given the bleeding of the workforce as boomers retire. Such continuing demand, combined with labour force stresses being felt not only in B.C. but across the country, means the industry is going to have to work hard on recruitment for some time to come, said Ferreira. Besides the LNG Canada facility, there is ongoing work at BC Hydro’s Site C project, the TransCanada Coastal GasLink pipeline, Phase 4 of the Highway 1 improvements and several other major public infrastructure projects on the go. BuildForce says those builds will combine to increase employment demand in the non-residential sector in B.C. by 12,900 workers by 2021. With continuing strength in the residential sector driving demand for 1,700 new residential construction workers, the province will need to recruit a total of 14,600 construction workers in the next three years, the report says. Large jobs in the Lower Mainland will also drive employment demand in the sector, BuildForce said, identifying the Pattullo Bridge replacement, the Vancouver airport expansion, the Millennium Line and Surrey light rail transit systems, St. Paul’s Hospital, the Vancouver Fraser Port Authority container expansion and various pipeline projects as major employers. Some 44,200 construction workers are expected to retire from the provincial labour force over the next 10 years, the report indicated. Over the past five years, more than 52,000 apprentices registered in the province’s 15 largest construction programs, with 22,580 completions registered during that period. Meanwhile the moderate labour demand predicted for Alberta in past years is reaching fruition, said Ferreira. The report noted the commissioning of Fort Hills at the beginning of 2018 marked the end of large-scale oilsands expansion projects in the province. “The trend we’re seeing in Alberta, a reduction in the overall workforce, the plateauing. We have seen that coming,” Ferreira said. Labour demand related to transportation infrastructure, major manufacturing and utility projects should peak in 2020, with first moderation then growth expected across the board after 2021. Total construction employment is expected to rise by 11 per cent between 2021 and 2028. In Saskatchewan, modest new homebuilding along with the wrap-up of major highway, hospital and utility-sector projects will contribute to a dip in construction sector employment between 2019 and 2021. But the sector can expect a turnaround after that as new mining and utility-sector investments help strengthen economic conditions between 2022 and 2024. As for Manitoba, Ferreira suggested the conclusion of major hydro-related projects along with lower levels of spending on roadways could prompt the province’s construction workers to look elsewhere for work starting around 2020. Share the post "B.C. shines as BuildForce predicts 10 years of labour force growth"